We are approaching another wonderful holiday: Easter! On April 5th Peter Cottontail will take his long journey hopping down the bunny trail to deliver eggs to millions of children everywhere. On the same morning millions of people will dress up for Sunday church services. Easter is not a holiday just for children or religious observances, though. This holiday is also a great excuse to get creative, remember past times, and make delicious goodies. We have compiled a list of fun activities that can be done by all ages. 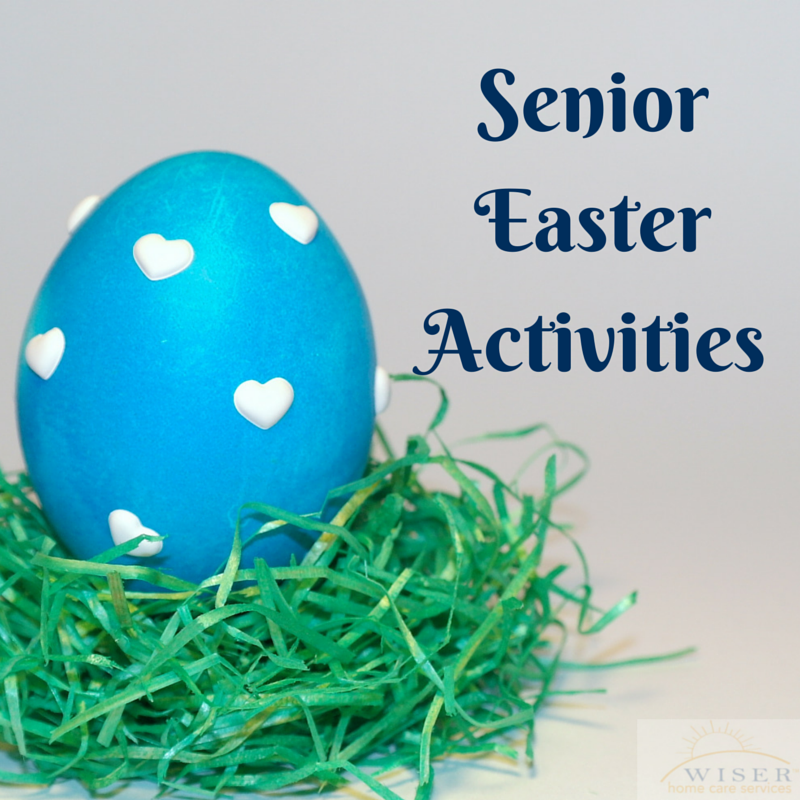 Look them over and choose an activity that would work well for the senior you care for. Paint a picture or write about your favorite Easter. Was it when you were younger waiting for the Easter bunny to bring you goodies in your basket? Or was it a later gathering with friends or family at a potluck? Bake Easter cookies and decorate them! Use rubber bands or tape to create stripe patterns on your eggs. Any of these activities would make great additions to your normal care routine for any senior that you care for. They are fun for all ages, so make sure to join in on the fun!